I’m trying to look at books the way a librarian might, in order to help get me better at thinking from a reader’s point of view. Last week I did Jeff Lemire’s Roughneck. 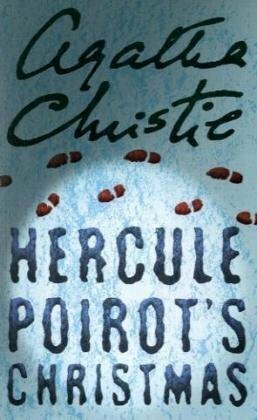 Hercule Poirot’s Christmas is a standalone novel in the Agatha Christie Poirot mystery series. She’s most famous for Murder on the Orient Express, in the same series. Most of Agatha Christie’s work fits comfortably in the subgenre of mysteries known as cozies. A cozy is a mystery that you’re supposed to read in a comfy chair in front of a fire with a mug of cocoa and a cat on your lap. It’s a low-key book in which the murder is mostly there to provide a focus for the story. The focus of a cozy is on the intellectual puzzle and the characters of the people involved, both the suspects and the detective. All of Agatha Christie’s work focuses on exploring one or more assumptions that readers tend to make, and exploiting that assumption to force the reader to guess the wrong murderer. She anticipates the clever guesses that you might make…and uses those guesses against you. This genre came about between World War I and II in the UK and Europe. Where the U.S. was focusing on ripping detective stories, the other side of the world, almost literally shell-shocked, needed slightly less excitement in their lives, and went with cozies instead (although of course that’s an oversimplification). The plot here is that a cantankerous old man’s family is gathered around him for one last time–and it really does turn out to be one last time. Everyone has a motive, and most of the characters had the opportunity…except for the minor detail of the door having been locked from the inside. I recommend this book for people who have had enough stress today, thank you, and possibly even people who have had enough family stress for the holiday season, thank you very much, and would like to see someone poke a few gentle holes in the windbags typical of more than a few families. In particular, I think Gen-Xers are going to start reading more cozies as they get older–when epic fantasy starts to feel like too much drama. Some days, sure, you can imagine yourself swinging a sword against dragons. Other days, you just want to know that the jerky family patriarch gets what’s coming to him.